Bozeman, MT - Sitka Gear, the industry leader in performance hunting gear introduces an all new, revolutionary insulation system to the Sitka Whitetail Line. By sheathing its baffles of PrimaLoft® Silver Hi Loft Insulation in an ultra-quiet and durable micro-Fleece, the new Celsius Jacket and Shacket set the bar for system insulation with two uppers that will not only keep you warm while waiting out that shooter buck, keep you cotton ball quiet when the moment of truth is just below your feet. The Celsius is the whitetailer's puffy jacket, and it's ideal as a mid-layer, but can also be used as an outer layer, letting you stack and shed to keep pace with the Midwest weather. A safety harness pass through, hand pockets and a chest pocket are some of the innovative features in the Celsius Jacket. 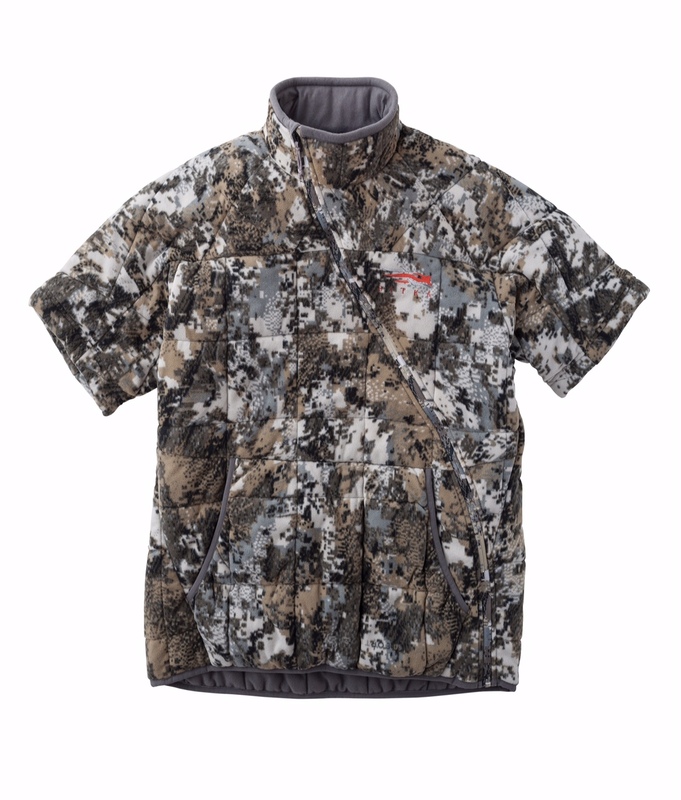 The Celsius Jacket is available in the new GORETM OPTIFADETM Elevated II pattern, is available in small to 3XL sizes and has an MSRP of $179.